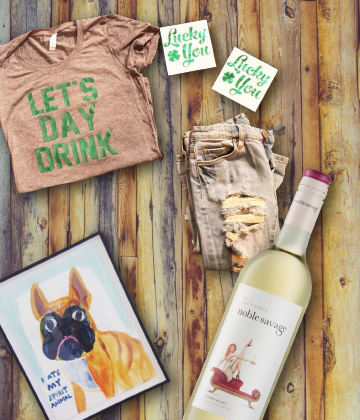 This sassy Chenin Blanc with sensual hints of honeydew melon and passion fruit entices the tastebuds and prepares for the voluptuous finish of baked apple tart. 250ml Noble Savage Chenin Blanc, and equal parts orange and apple juice with a splash of Fitch & Leeds lemonade. 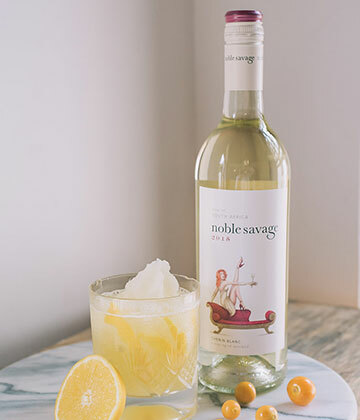 Pour the Noble Savage nectar over crushed ice and layer with sliced gooseberries – now let it sink in. A day without wine probably wouldn’t kill me but why risk it?